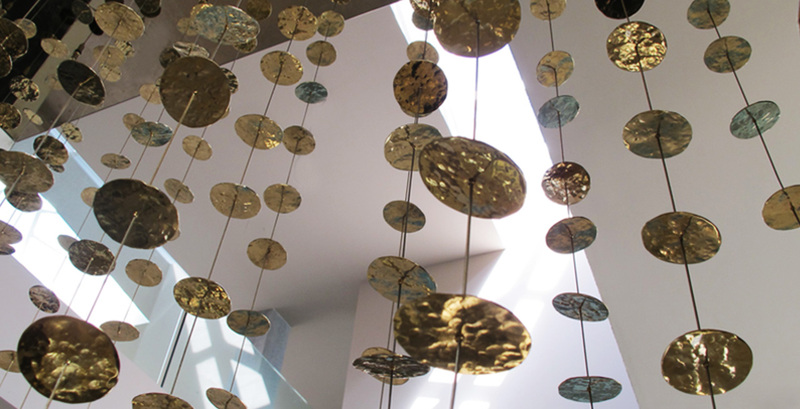 Storm of Gold is an exclusive project that was born from the need to create a decorative element and at the same time that could serve to separate spaces. 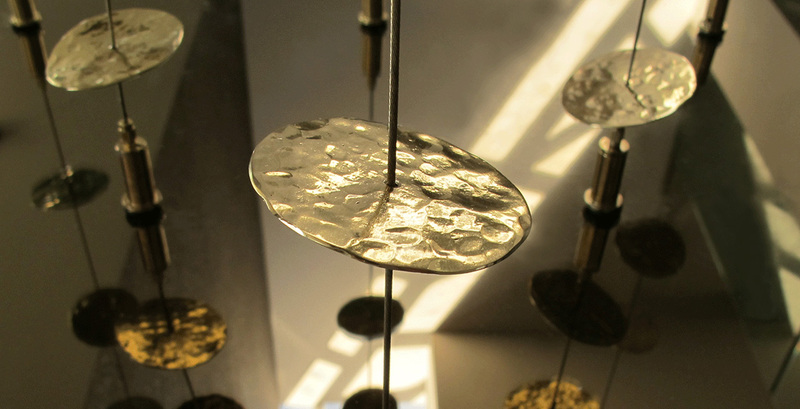 Made entirely with hand-hammered brass disks, installed on taut wires and arranged at different heights and angles, the result is visually striking and gives the project a sense of movement and lightness. 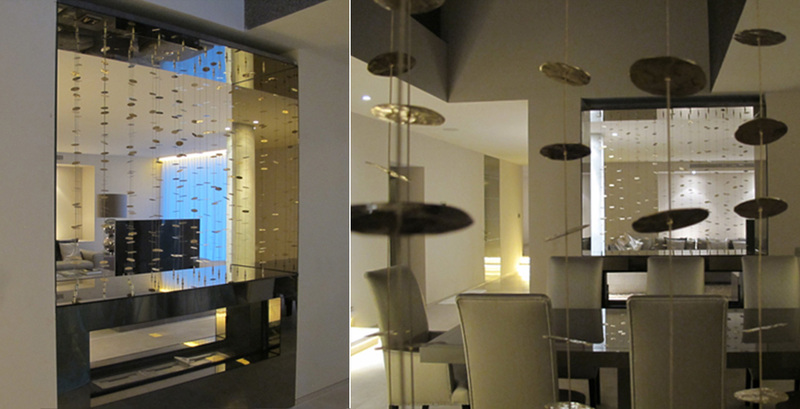 The project was developed in collaboration with Sandra Tortosa.